Manchester City striker Sergio Aguero is set to make the trip to Arsenal on Monday, after resuming full training. The Argentine has missed City's last four matches with a heel injury but, provided he suffers no reaction, is likely to return on Monday. 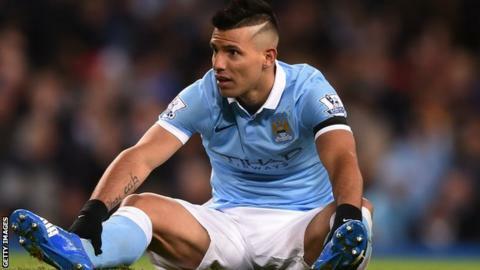 Aguero, who missed six weeks with a hamstring injury earlier this season, injured his foot in November's 3-1 win over Southampton. City are a point behind second-placed Arsenal in the Premier League.